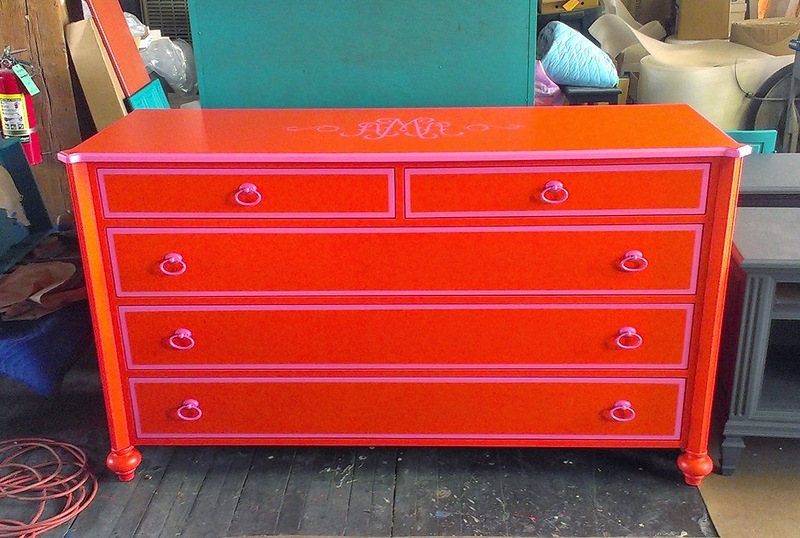 Of course this orange and pink dresser was for a girl's room. 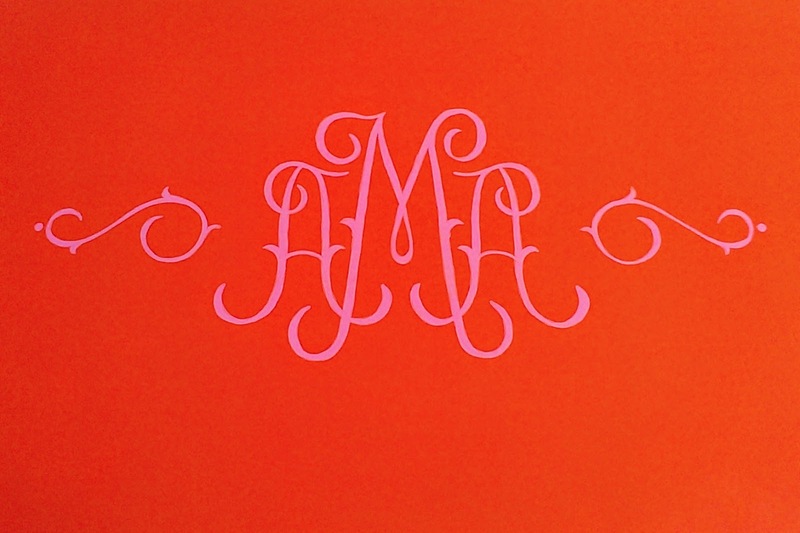 The monogram was designed to match a pillow monogram. 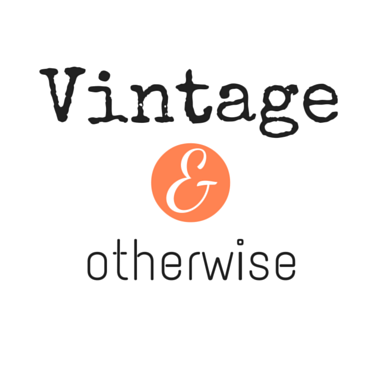 I drew it out, transferred it to the dresser top and then filled it in by hand. 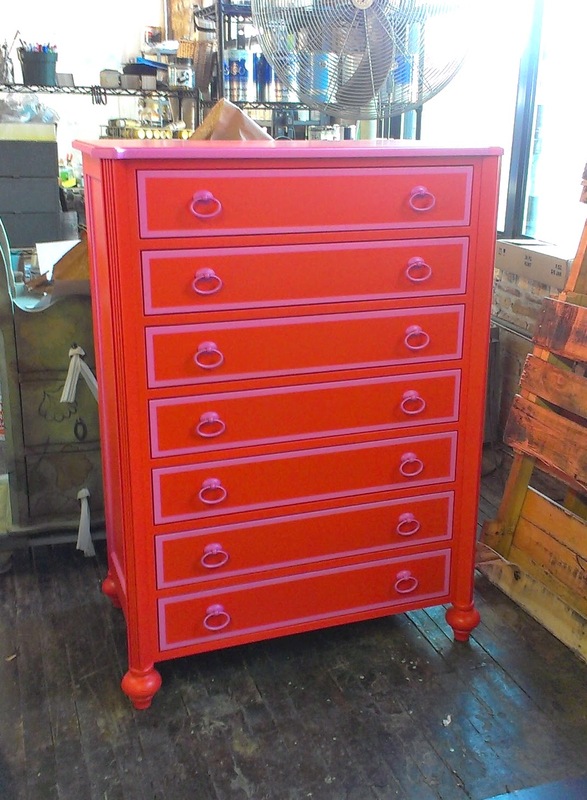 A matching tall chest. I custom painted the hardware too.